You never know when you need saving! Here at MCLEANSCOTLAND we know what it means to be safe and sound, like many of us do but our tours cover all Scotland and Ireland, especially the coastal regions where mishaps can happen. This is why we support the RNLI – the lifeboats. The crews do NOT get paid, all are volunteers and the boats are all purchased via the RNLI charity. 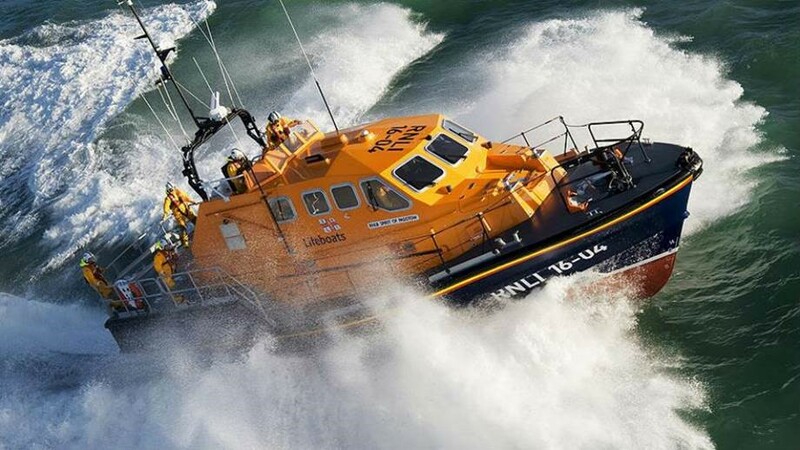 The Royal National Lifeboat Institution (RNLI) is the largest charity that saves lives at sea around the coasts of the United Kingdom, the Republic of Ireland, the Channel Islands and the Isle of Man, as well as on some inland waterways. They are separate from the Coastguard, independent of the Government and rely on volunteers and supporters. Your support means crews can save lives quickly, safely and effectively. It cost £176.5M to run the service in 2017. There are 238 lifeboat stations around the UK and Ireland, and lifeguards patrol over 249 beaches each summer. FOR EXAMPLE locations you may know of; Islay Lifeboat Station’s Severn class is operated from a new station located on the main pier, completed in 2013. The crew have been awarded four medals for gallantry. Oban Lifeboat Station operates its all weather Trent class lifeboat from one of the oldest buildings in Oban. Located in the attractive fishing port and popular west coast town, it’s one of the busiest all-weather lifeboat stations in Scotland. Situated at the end of Tobermory’s Main Street, Tobermory RNLI operates a Severn class all-weather lifeboat, the Elizabeth Fairlie Ramsey, and responds to a wide range of shouts up to 100 nautical miles offshore. So, just how much is a RNLI lifeboat? Tamar Class Lifeboat. A brand new Tamar class lifeboat like the RNLB Misses Robertson of Kintail costs £2.7 million today. These boats require refitting every 3-5years, a process which costs £150,000 – £255,000. This works out at an average of around £57,000 per year maintenance. For every tour we complete, we donate to the RNLI and happy to do so, we would encourage all our guests to consider doing the same, every little counts – for those living abroad, you cannee take coins home with you, so why not donate here, on tour or at the airport or, Paul has a lifeboat collecting box. Over the years we have have donated much needed funds. The RNLI have a large office in Perth where Paul goes to drop in the collection boxes. Royal National Lifeboat Institution, Unit 3 Ruthvenfield Grove, Inveralmond Industrial Estate, PH1 3GL Perth, Scotland.